Yes, it's possible to vacuum seal your food at home without a vacuum sealer! All you need is a zip-top plastic freezer bag and a bowl of water. Here's how! Yes, it’s possible to vacuum seal your food at home without a vacuum sealer! All you need is a zip-top plastic freezer bag and a bowl of water. Easy-peasy, but I’ll get into the details below. This method is great for those of us who only occasionally have need of vacuum sealer and don’t want to invest in buying one. First off, Should You Buy a Vacuum Sealer? Vacuum sealers are super handy little gadgets that will pull out all the air from a plastic pouch of foods and seal it closed. This helps prevent freezer burn on frozen foods, helps keep shelf-stable ingredients like grains last a little longer, and makes cooking sous vide more effective. If you do a lot of freezing, bulk-purchasing, or sous vide cooking, it’s definitely worth investing in one. 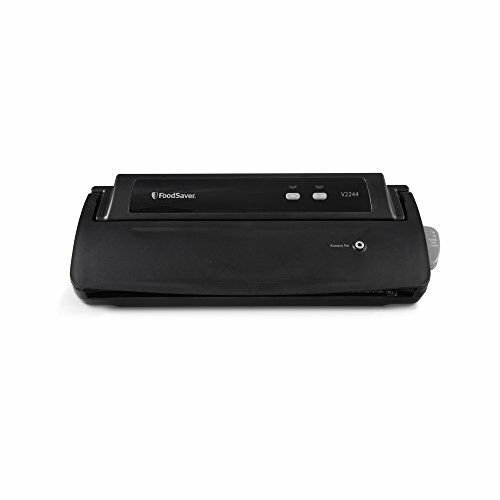 Our writer Marta recommends this affordable one from FoodSaver, the OG vacuum sealer. But what if you don’t need a vacuum sealer all the time? What if you just need one occasionally and don’t want to invest in a gadget that will sit in the back of the cupboard most of the time? That’s when it’s best to use a home method like the one we’re talking about here. It’s not as 100% effective at removing all the air from the food as a real vacuum sealer, but it’s pretty darn close. And for most of our everyday home cook purposes, that’s just fine. Which Plastic Bags to Use? 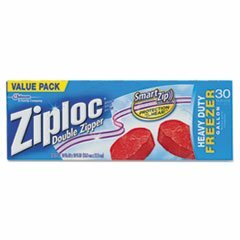 Buy brand name zip-top plastic freezer bags for this method, which are more sturdy and have stronger seals than off-brand bags or regular zip-top bags. I use Ziploc Freezer Bags, both gallon- and quart-sized. Fill a large bowl or stock pot with water and lay a kitchen towel nearby. Place the food you want to vacuum seal in a plastic bag. It’s best to arrange the food in an even layer if possible, rather than bunched up in a ball. This helps it freeze, and later thaw, more quickly (or cook more evenly, in the case of sous vide cooking). Press out as much air as possible with your hands and press the seal almost all the way closed. Leave a little corner of the top unsealed. Holding the bag by the unsealed corner, lower it into the water. Use your other hand to press out any air bubbles that might get trapped with the food. Once you reach the unsealed corner where you’re holding the bag, press the seal closed. When you lift the bag out of the water, the sides of the plastic should be molded to the food. If the bag seems loose or like there’s still a lot of air in the bag, check the seal and then repeat the steps above. Once sealed, lay the bag on the towel to dry. The food is now ready to be frozen, stored, or cooked sous vide. Fill the bag almost all the way full, leaving an inch or two of headroom. Lift the bag off the counter and press it against the edge of the counter at the waterline, so all the liquid hangs below the counter and the top of the bag is above. If there’s any air in the gap between the liquid and the edge of the counter, reposition the bag and press out all the air. Seal the bag closed. I usually do this by laying the top part of the bag flat against the counter while the liquid hangs below, and then pressing the seal closed with my hand. This method probably sounds more complicated than it really is. Give it a try next time you’re in the kitchen, and I think you’ll be surprised at how easy it is to do! Ok, one last tip for you! Before you add your food to the plastic bag, fold the top edge outward to form a cuff around the top. Be careful of the seams so you don’t accidentally rip them. Not only does this protect the seal from stray drips, but it also helps the bag to stand upright while you fill it! Any questions? Other tips to share? In the meantime, here’s our total Sous Vide Safety Guide–which should cover just about every question you didn’t know you had, and then some!